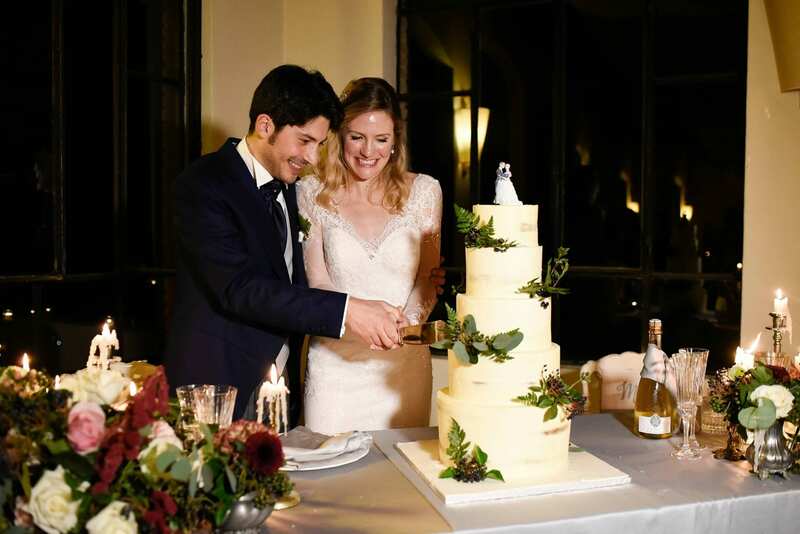 Alex and Nino contacted us to realize the perfect wedding that could represent both their different personalities and to assist the guests coming from the USA. Alex is American, Nino from Apulia, ​they met during the studies and fell in love in Florence. 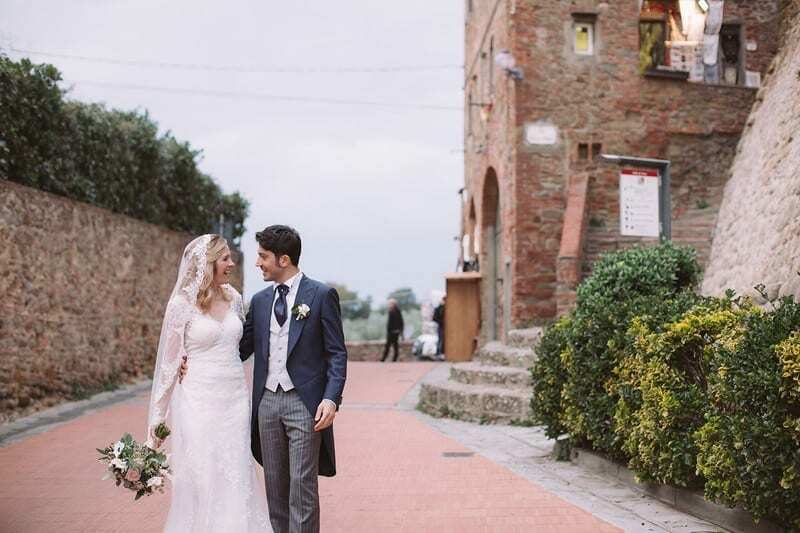 The Tuscan town was the cradle of their love, so they decided to live and get married here. 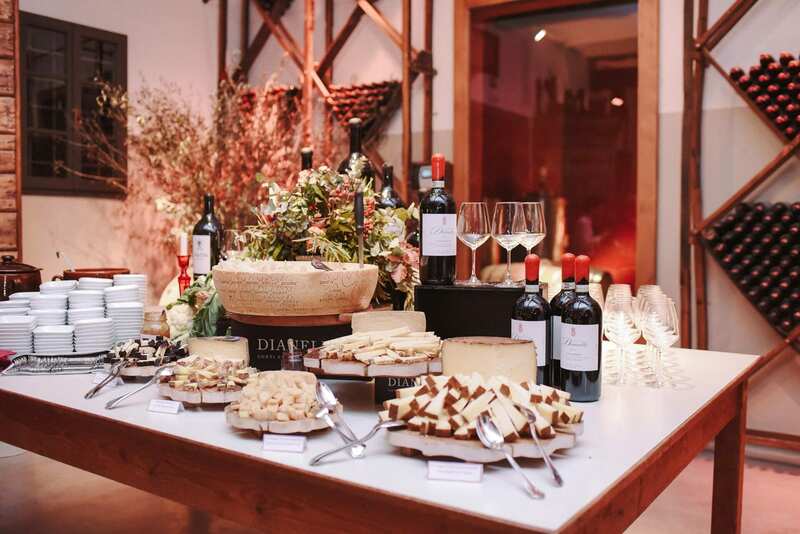 In addition to the creation of their big day, we also organized a welcome dinner for the foreign guests in the cellar of the popular pizzeria Cucina Torcicoda. Moreover, on the day before the wedding, all the guests were offered an aperitif in the suggestiveLa Loggia, restaurant overlooking Florence. 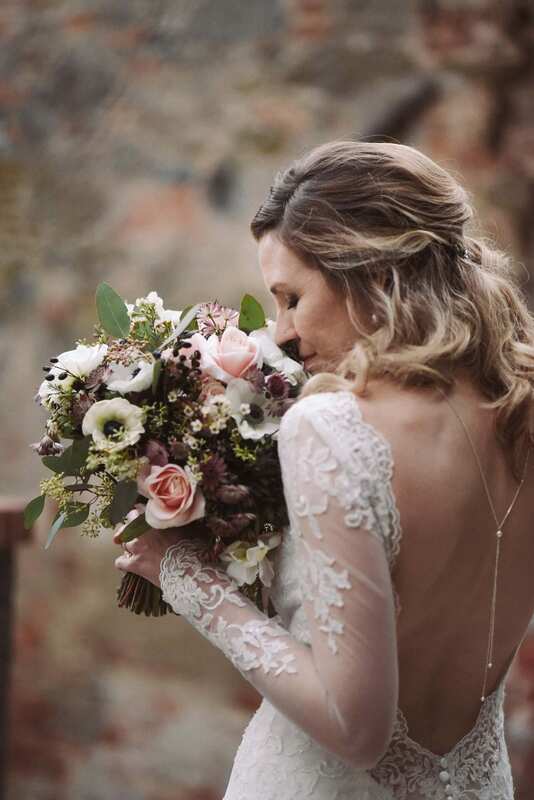 Alex and Nino chose an autumn wedding, celebrated on November and with a touch of vintage. As location they selected Leonardo’s village Vinci. 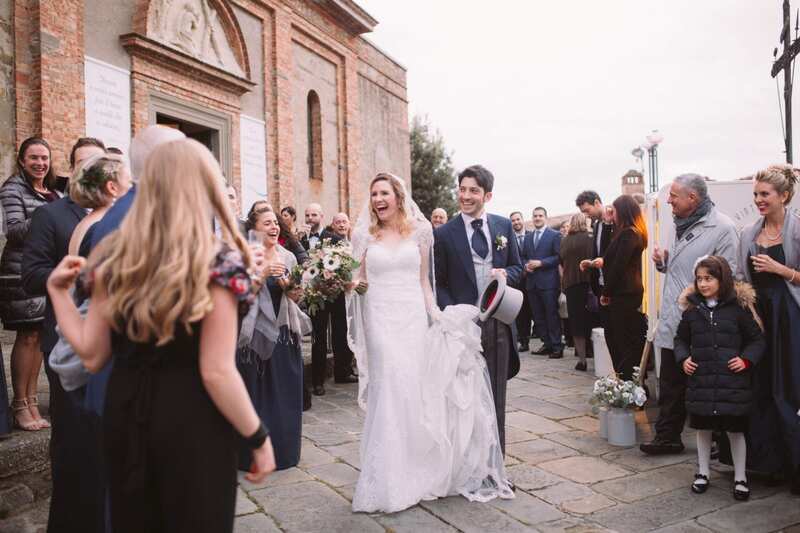 They got married in the characteristic Santa Croce church. The entrances followed the American tradition - bridesmaids accompanied by the best men - and the mass was celebrated in two languages, Italian and English. At the end of the ceremony, the Brindapino welcomed everyone by offering a glass of prosecco for a good luck toast. 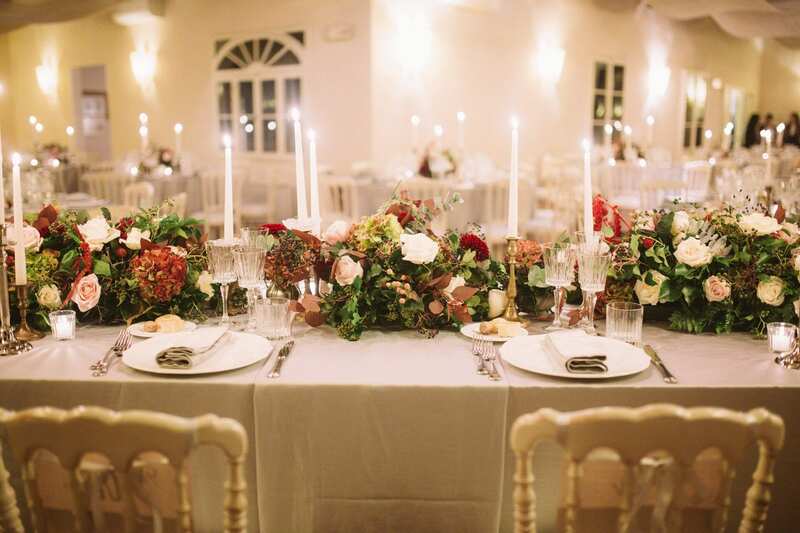 The reception took place inside Villa Dianella, historic villa surrounded by the Florentine countryside. 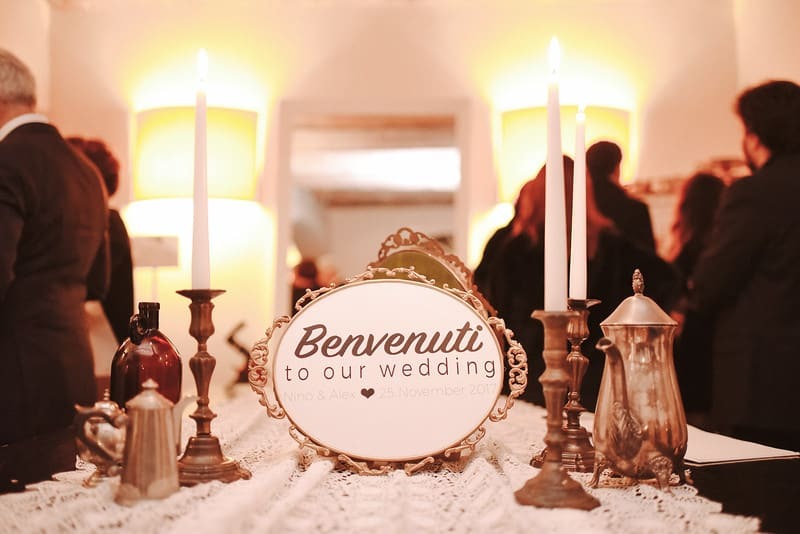 While the couple took pictures on board of a vintage Citroen, the guests enjoyed a typically Tuscan aperitif in the cellars. The L hall hosted the dinner and the cake cutting moments. An accordionist man played typical Italian songs, while the DJ lived up the party set in Sala delle Colonne. The palette was characterized by seasonal colors such as marsala, dusty green and ivory. 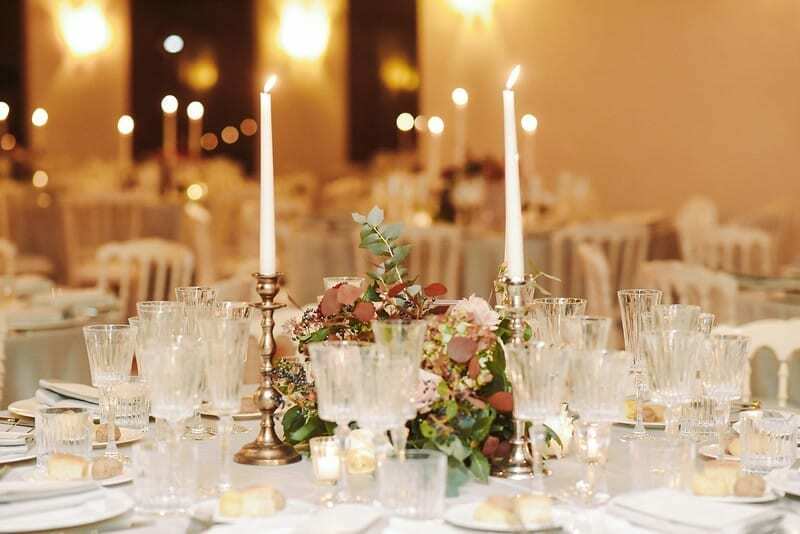 The floral decorations were elegant and made of low centerpieces and different heights candles. The bride added her touch to the refined settings. In fact, months before the wedding, Alex personally went around vintage markets looking for special items that could enrich even more the decorations and represent her love story.